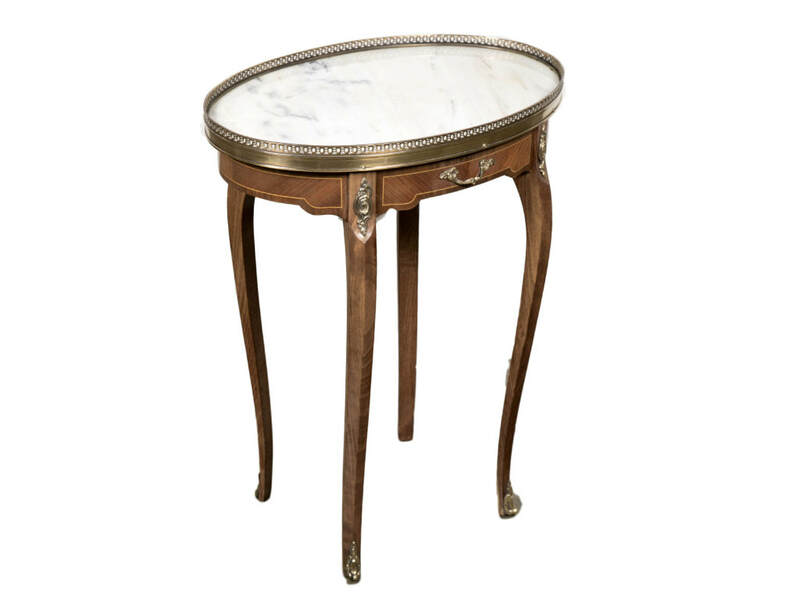 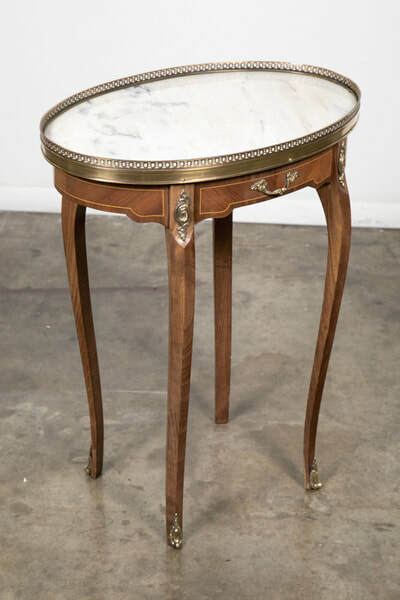 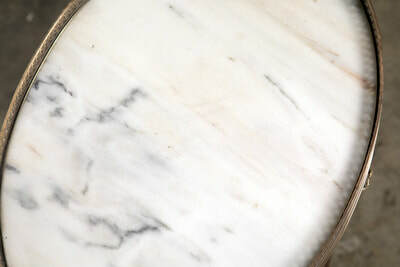 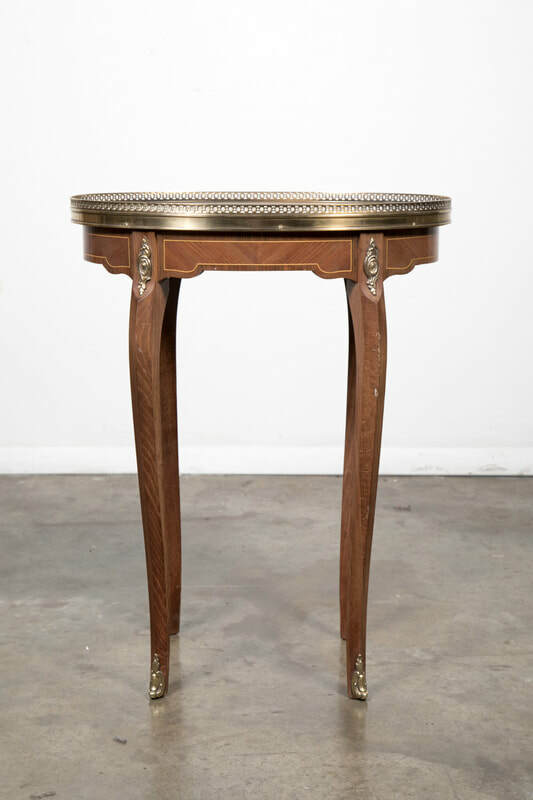 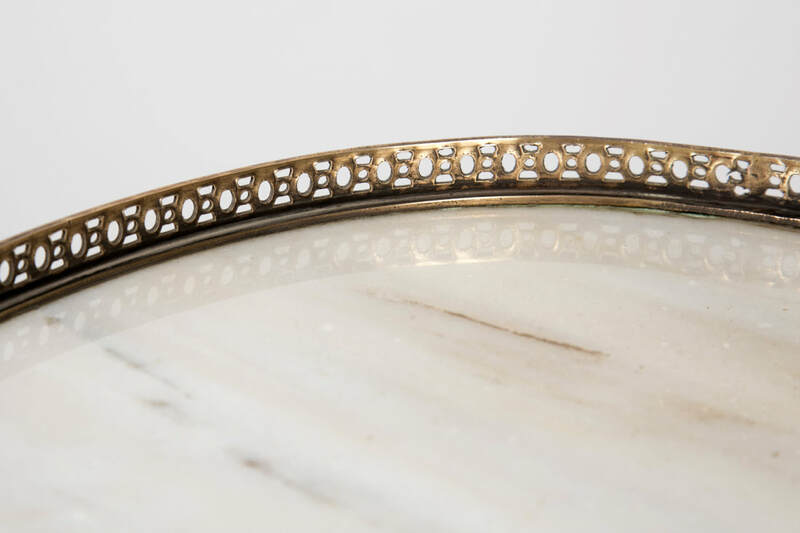 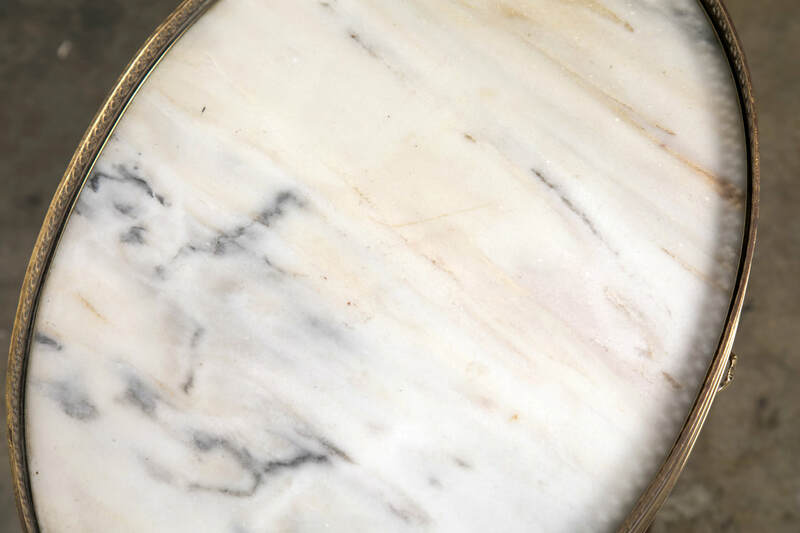 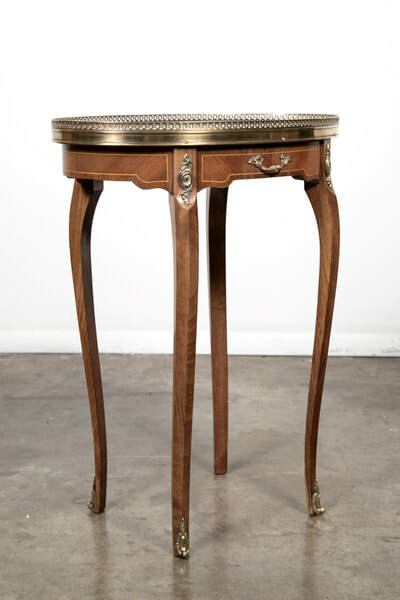 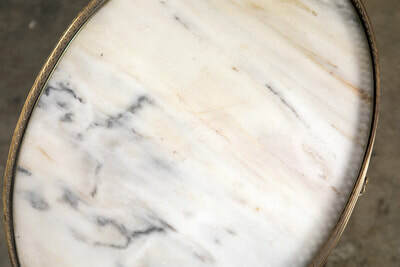 Charming Louis XV style oval kingwood bouillotte table, having a striking marble top surrounded by a pierced gallery. 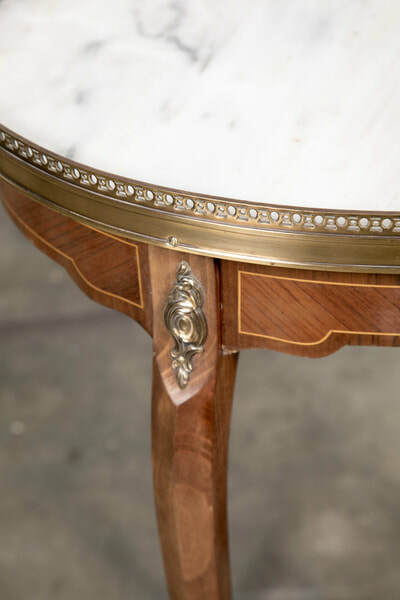 Features a carved apron with inlay, ormolu leg mounts and a single drawer. 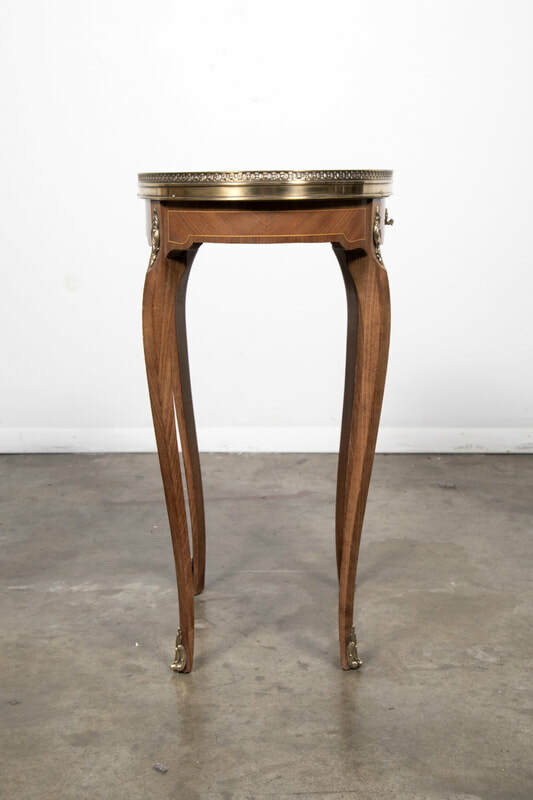 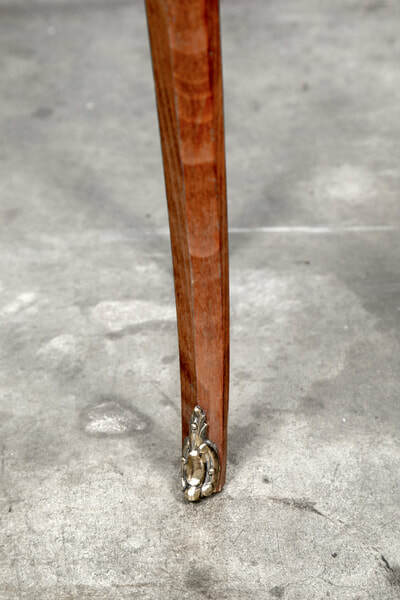 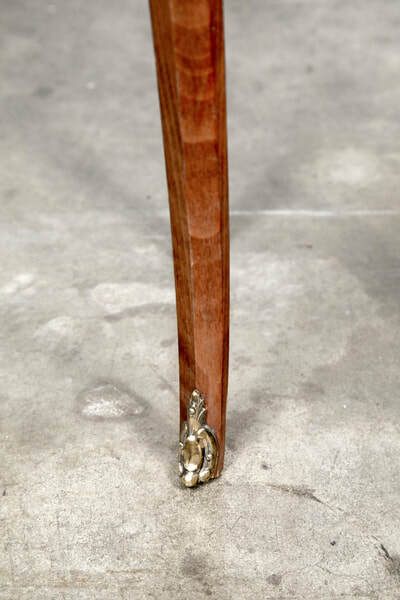 Raised on graceful cabriole legs ending in bronze sabots.